With the sale of the Glenturret to Art & Terroir, Edrington is now focused on its three core Single Malt labels. We’re all familiar with The Macallan and what it’s all about. It’s without doubt, their ‘flagship’ label and one of the most recognisable names to someone unfamiliar with the whisky world. As for Highland Park, it seems like it is largely marketed towards enthusiasts these days. That leaves us with Glenrothes. The understated distillery was still under the ownership of wine merchants Berry Bros & Rudd (BBR) until a year ago when it returned to Edrington’s hands. 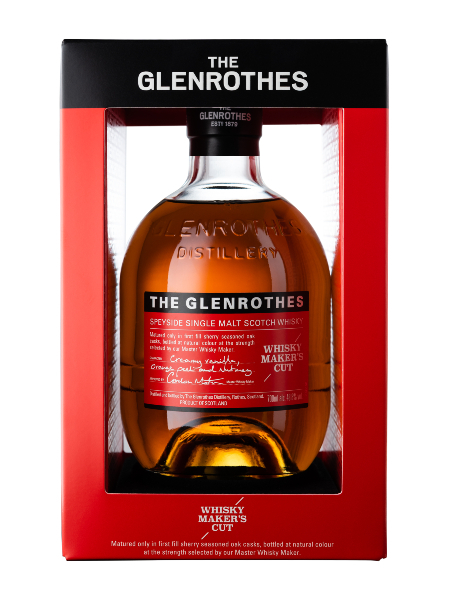 The distinct packaging as well as the use of vintages thanks to BBR’s wine roots, made The Glenrothes unique in a traditionalist world of Single Malt whisky. This places The Glenrothes in a rather interesting position. It would not be amiss to presume that a rebranding exercise was on the cards, given the recent makeovers and for The Macallan and Highland Park. With the recent launch of the Soleo Collection, we now have an idea. The collection is named for the sun-drying process (asoleo) prior to pressing the grapes and is marked by the various stages and colour changes that the grapes undergo, reflected in the distinct colour palette of the packaging as well as the whisky. While the ubiquitous bottle shape has been retained, the livery has undergone extensive changes, with brightly coloured labels denoting the various age statements in the range. The Soleo Collection replaces the existing range, which means that we will not be seeing vintages as part of the regular range any time soon. By this point, I’m pretty sure you’ve seen this coming from a mile away. 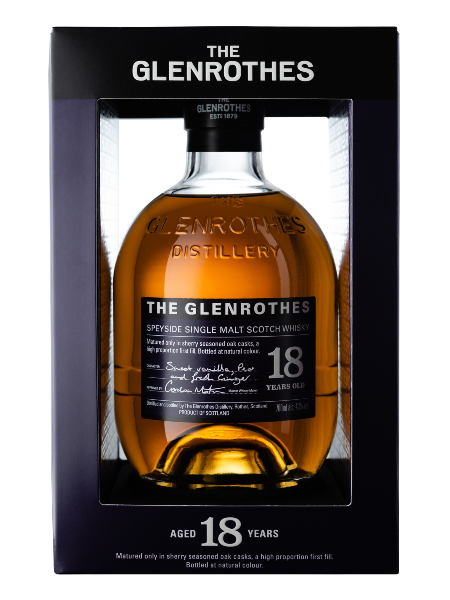 The Glenrothes is in a prime position to target a younger, less traditional audience with its newfound vibrancy and that’s reflected in a new, more accessible flavour profile. The latest changes also reflect a line up that is almost exclusively sherry-driven. Hard to go wrong with that, I’d say. The new lineup features five whiskies though only four will be available in Singapore for the time being: the 12 YO, the Whisky Maker’s Cut, the 18 YO and the 25 YO, which will arrive at a later date. The 10 YO offering has been omitted for the local market. 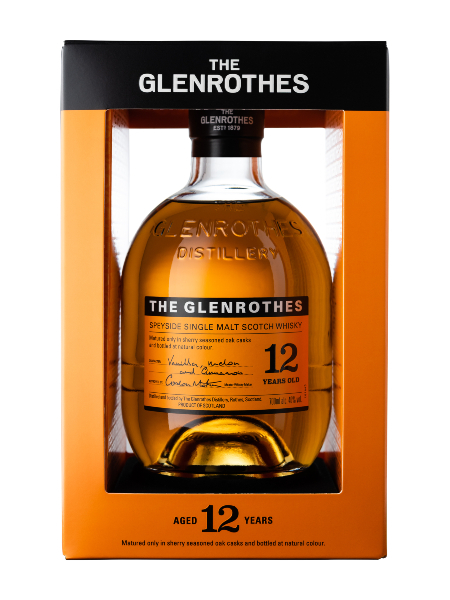 The 12 YO is an inoffensive, straightforward offering that sets the tone for the new Glenrothes style, which features a light body driven by a base of vanilla coupled with a gentle spiciness and a hint of cinnamon. The whisky is inherently sweet but it is balanced nicely with a slight bitterness from the oak. A mild and uneventful whisky, but enough to get the attention of those relatively new to whisky or anyone who just prefers something quaffable without exhausting on the palate. Moving up the flight we come to the Whisky Maker’s Cut, which not only is stronger (48% vs 40%) but the intensity has gone up quite a bit as well. It comprises entirely of first-fill sherry casks, so the vanilla takes a back seat while the supporting cast does the heavy lifting: dried fruit and spices come to the fore with greater intensity and is met by raisins and caramel with a tinge of sulphur and oak. Definitely a good counter for the 12 YO in the sense that if you don’t like one, chances are you’d prefer the other. Experienced whisky drinkers are likely to gravitate towards this one because of its heavier body. From one extreme to the other, the 18 YO is a happy middle ground. Coming from the Whisky Maker’s Cut, we dial down the intensity of the flavour a tad and round off the rough edges and punch. Vanilla and spice seem to be the constant and while the caramel is a little stronger, the spiciness and oak are a little more refined. Also joining the party are the requisite nuttiness, dark chocolate and an assortment of berries and raisins. Maybe coffee? To my mind, the 18 YO has a lot more in common with the 12 YO, in the sense that the whisky is light on the palate and easily enjoyed by those unfamiliar with Scotch Whisky. Although we’ve managed to try only half the new range, it’s clear thus far that the new Glenrothes range is designed to be very accessible, even more so than The Macallan. The safe bets go to the 12YO and 18YO while the Whisky Maker’s Cut is markedly punchier dram that would probably be the go-to for seasoned whisky drinkers conditioned to having a full-bodied whisky swirling on their tongues. Like a chilli enthusiast looking for the next spiciest specimen to overcome, the whisky anorak is cursed to wander the far ends of the earth (the internet) in a never-ending pursuit of bolder, more expressive whisky, one more so than the last. We tend to forget that to non-whisky drinkers, any simple, trusty Speysider at 40% ABV may already be quite intense on their palate. In that sense, the Glenrothes is perfect for the job.